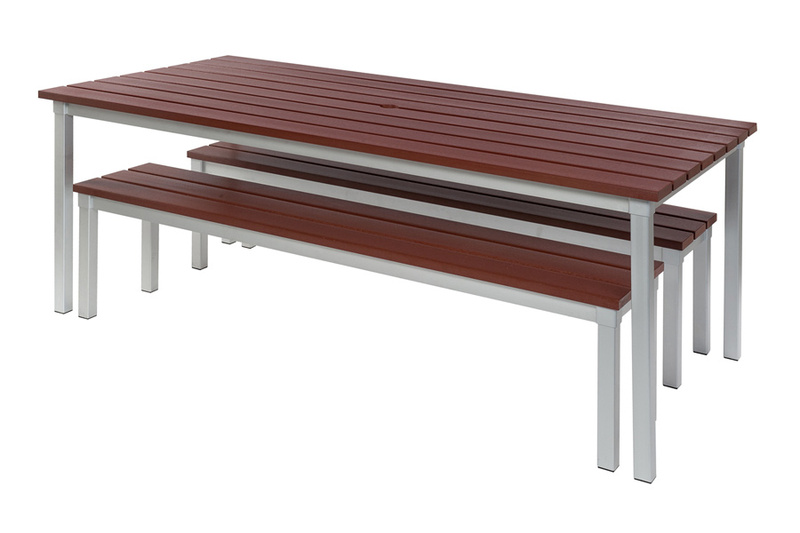 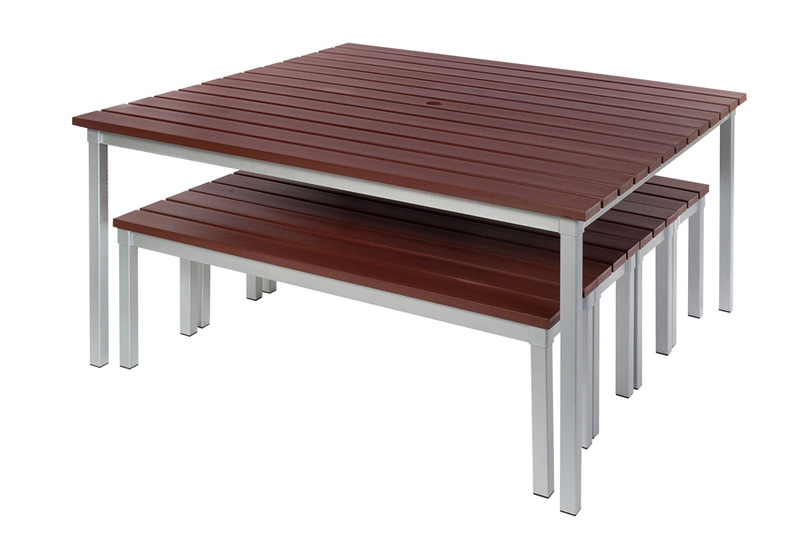 The Enviro outdoor table needs no maintenance meaning your outdoor table looks fabulous all year round. 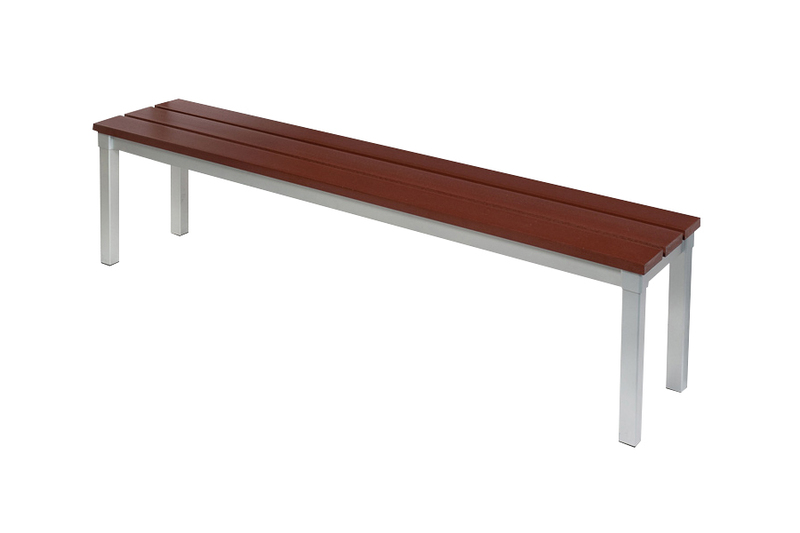 Simply wipe clean with a cloth. 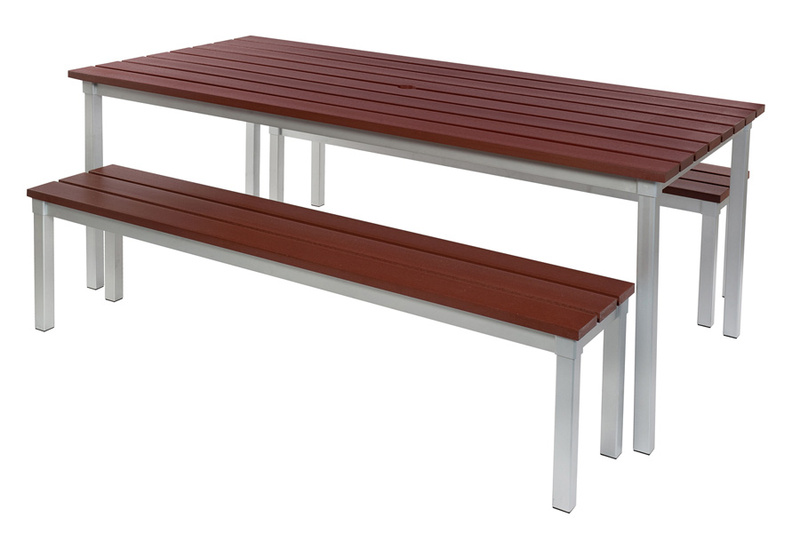 Made from recycled material the mahogany synthetic finish not only feels like real wood but also looks like wood. 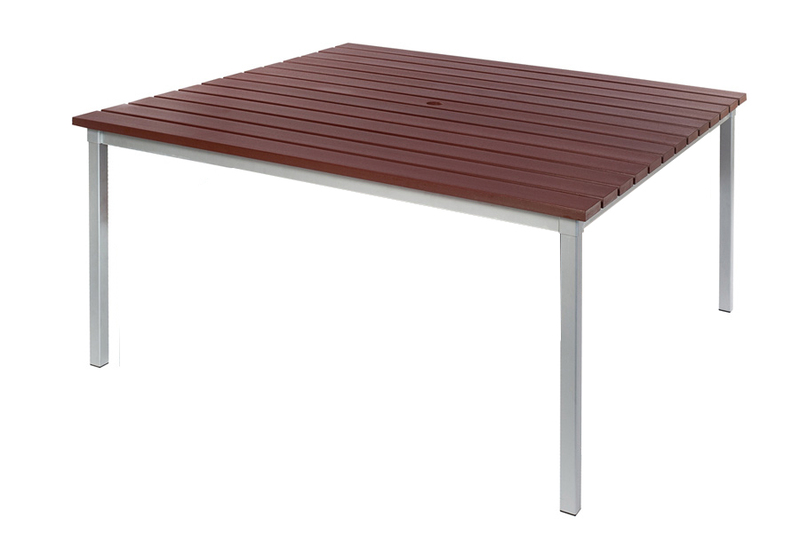 This table has an anodised aluminium frame in a silver finish and comes in 3 heights and 3 sizes. 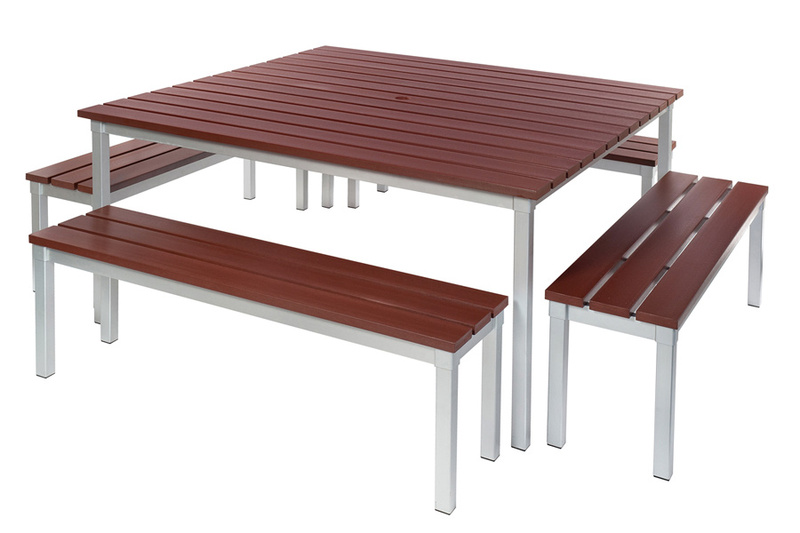 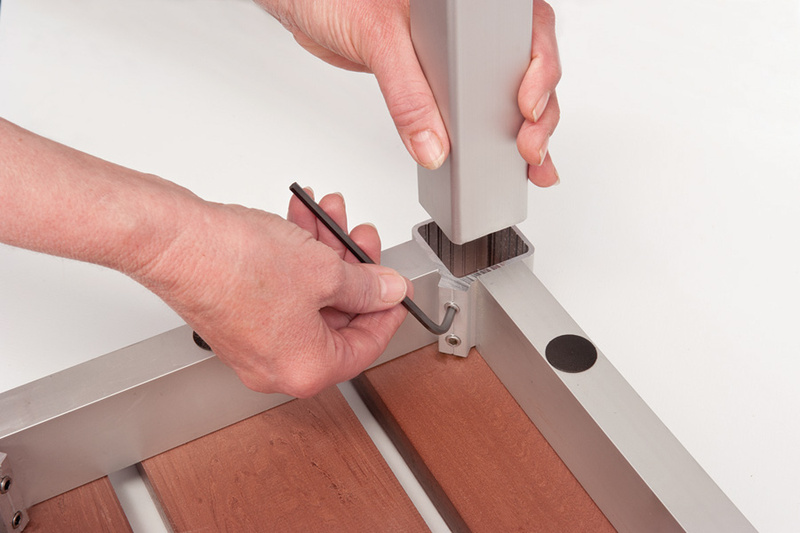 It is supplied flat packed for easy self assembly. 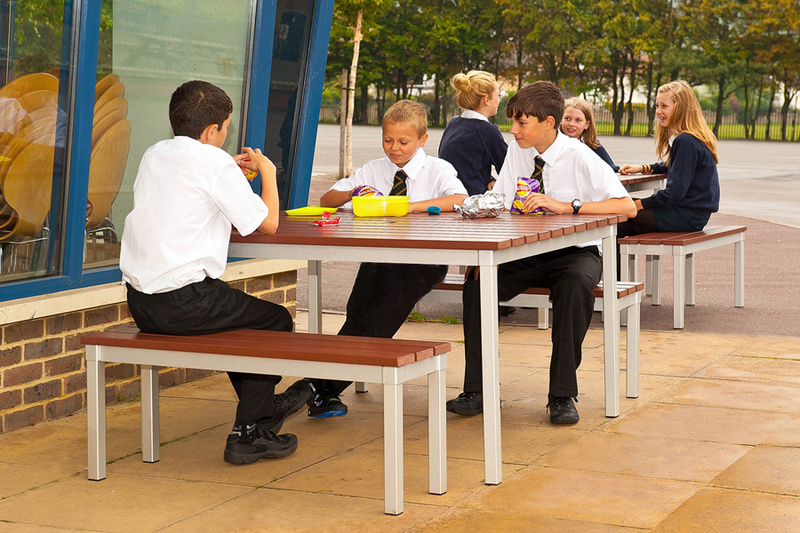 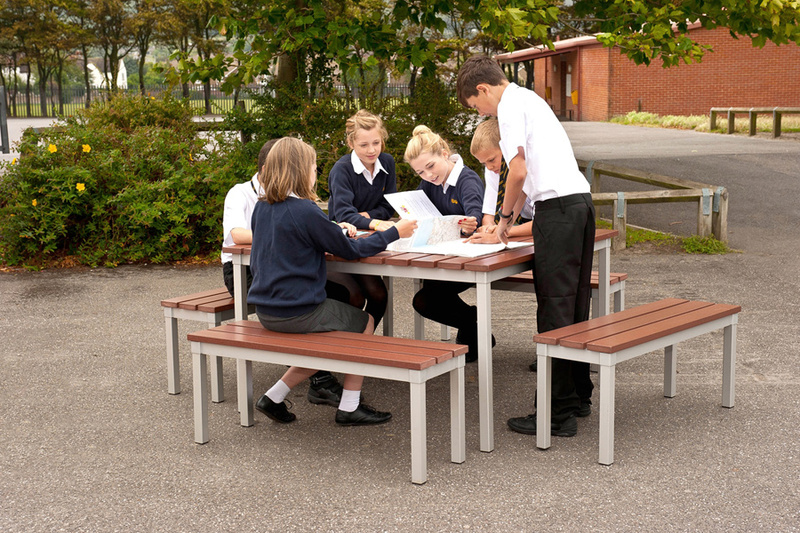 Ideal for outdoor areas at schools and colleges.